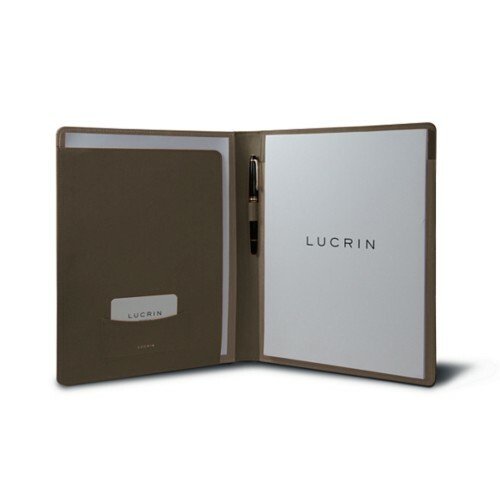 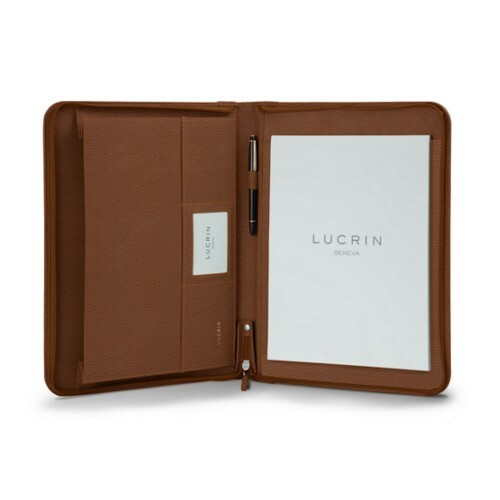 Over the years, Lucrin has acquired expertise and has specialized itself in the crafting of top-notch A4 leather binders & folders. 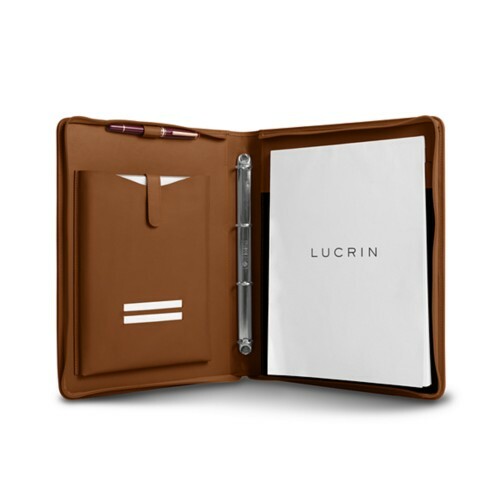 Discover the collection of leather document holders for your files of A4 dimensions. 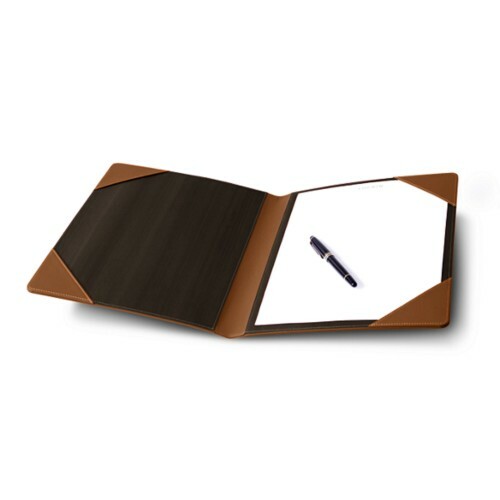 Several models of leather A4 files are available. 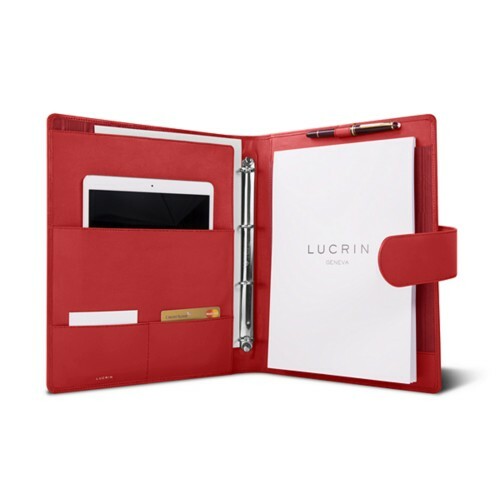 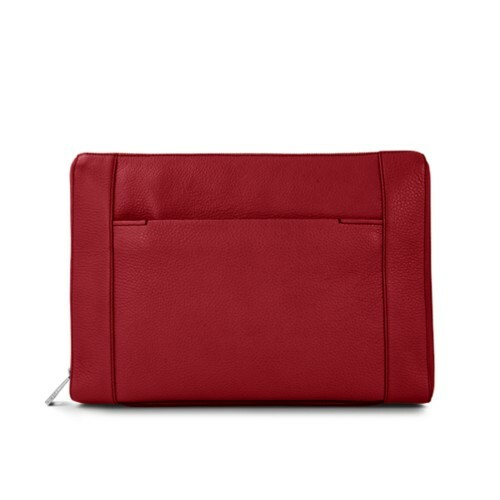 Some of them come with wisely designed pockets and slots, which you can use to keep important papers, credit or business cards or even your tablet or smartphone. 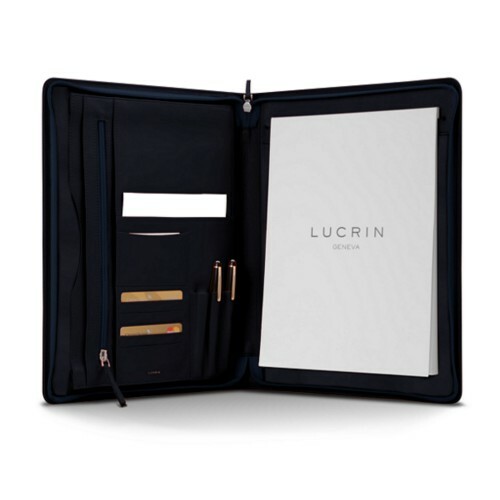 Besides, you can choose the leather A4 case that comes with a zip closure, a pressure button shutting or a loop fastening. 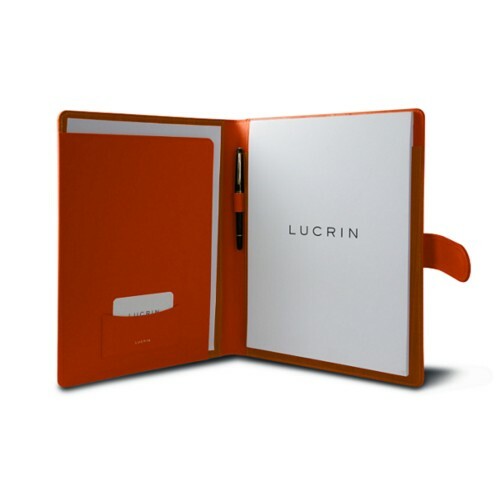 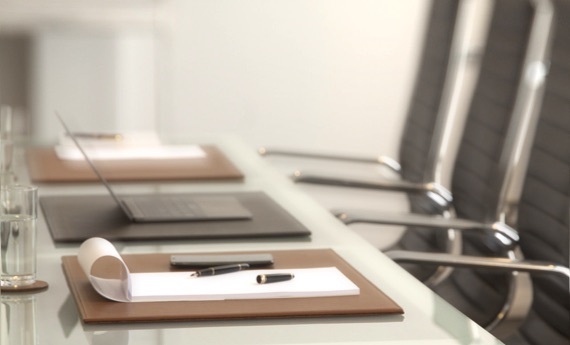 All of our notepad holders are delivered with a refill of A4 white paper block. 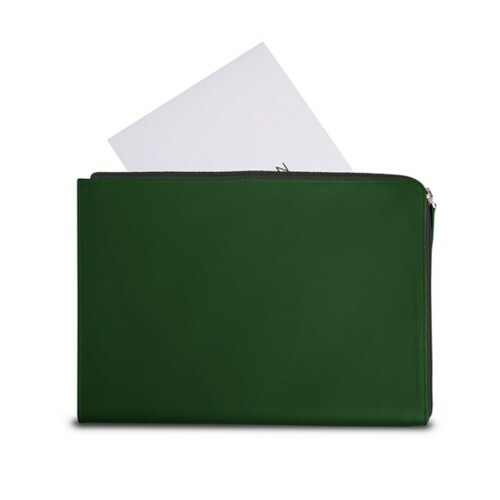 Our leather A4 pockets are suitable for both genders and for any age group. 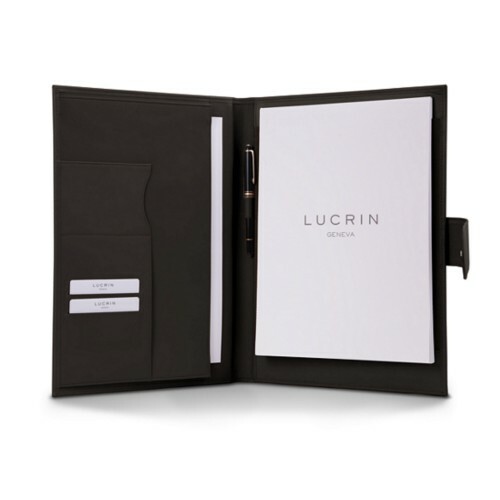 You can even customize your chosen portfolio with your initials or even a quote that inspires you.